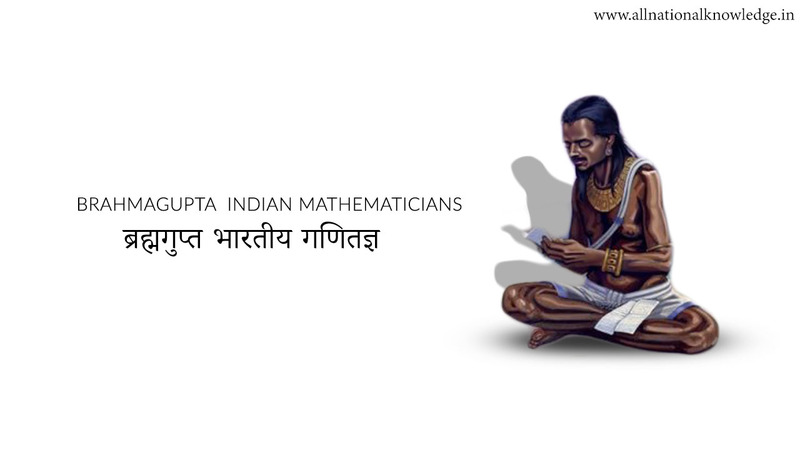 Brahmagupta is unique mathematicians , born in 598 AD in Bhinmal, a state of Rajhastan, India. He spent most of his life in Bhinmal which was under the rule of King Vyaghramukha. Brahmagupta wrote many textbooks for mathematics and astronomy while he was in Ujjain. These include ‘Durkeamynarda’ (672), ‘Khandakhadyaka’ (665), ‘Brahmasphutasiddhanta’ (628) and ‘Cadamakela’ (624). About 1500 years ago, in 628 A.D., a book called the Brahmasphutasiddhanta was published in India. It was written by a brilliant mathematician and astronomer named Brahmagupta, and in it, he developed most of the rules that we still use to work with the numeral zero. The first person in history to define the properties of the number zero. Identifying zero as a number whose properties needed to be defined was vital for the future of mathematics and science. Brahmagupta was the first person to discover the formula for solving quadratic equations. wrote that pi, the ratio of a circle’s circumference to its diameter, could usually be taken to be 3, but if accuracy were needed, then the square-root of 10 (this equals 3.162…) should be used. This is about 0.66 percent higher than the true value of pi. Brahmagupta indicated that Earth is nearer the moon than the sun. incorrectly said that Earth did not spin and that Earth does not orbit the sun. This, however, may have been for reasons of self-preservation. Opposing the Brahmans’ religious myths of the time would have been dangerous. 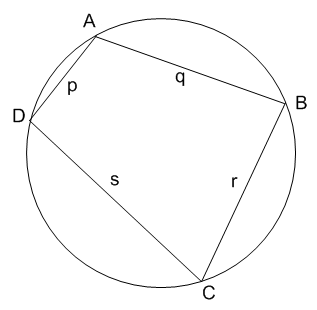 produced a formula to find the area of any four-sided shape whose corners touch the inside of a circle. This actually simplifies to Heron’s formula for triangles. Brahmagupta said the length of a year is 365 days 6 hours 12 minutes 9 seconds. Brahmagupta calculated that Earth is a sphere of circumference around 36,000 km (22,500 miles). adding two negative numbers together always results in a negative number. subtracting a negative number from a positive number is the same as adding the two numbers. multiplying two negative numbers together is the same as multiplying two positive numbers. dividing a positive number by a negative, or a negative number by a positive results in a negative number. The remarkable, prolific mathematician and astronomer Brahmagupta lived in seventh century India and made many important contributions to mathematics and astronomy. He was the first to explain how to use the numeral zero and negative numbers in mathematical calculations. Indian astronomy was quite advanced compared to the work being done in the rest of the world. When he was only 30 years old, he published his most famous book, the Brahmasphutasiddhanta. In this book, he mainly focused on issues related to astronomy. He asserted that the Earth was round and not flat, as many people still believed, and even calculated that the circumference of the Earth was approximately 36,000 km. Today, we know that the Earth's circumference is actually about 40,000 km, so Brahmagupta's calculations were pretty accurate. He also made contributions to geometry, including accurately calculating the constant pi, and developing a way to calculate the area of a cyclic quadrilateral that is still known as Brahmagupta's Formula. This great mathematician died between 660 and 670. He was one of the greatest mathematicians in Indian history and his contributions to mathematics and science have made major differences to various mathematical problems by establishing the basic rules which now allow us to find their solutions.